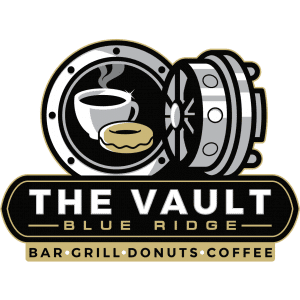 BLUE RIDGE, Ga. – Once a year in the dead of winter, things get spicy in downtown Blue Ridge as residents and tourists alike experience a “chili” weekend in February. 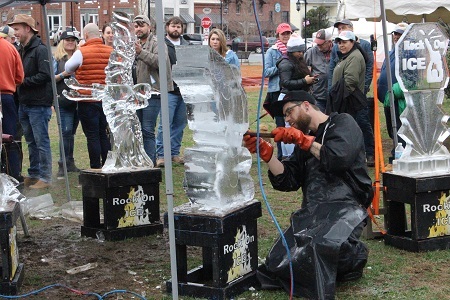 The eighth annual Fire and Ice Chili Cook Off Festival, brought to you by the Blue Ridge Business Association partnering with the Fannin County Chamber of Commerce, kicked off Saturday, Feb. 17, and brought in crowds despite the weather. Crowds enjoyed the live ice sculpting demonstration provided by Rock On Ice. 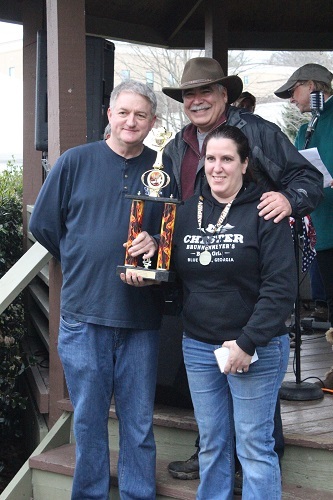 Visitors to the festival were welcomed to take part in the judging of the chili cook off where the contestant with the highest number of votes takes home the coveted People’s Choice award. 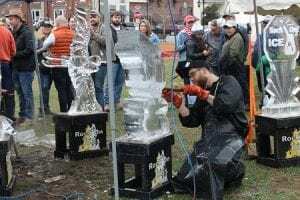 The Fire and Ice Festival also now holds the honor of being the largest ice sculpting display in the Southeast. Award-winning National Ice Carving Champion Rock On Ice created many unique sculptures sponsored by several area businesses and demonstrated their difficult art form firsthand with live ice sculpting demonstrations in the park. Official Chili Cook Off judges were also on hand to judge this years 16 contestants and to award first, second, and third place in four different categories. Among the guest judges were Speaker of the Georgia House of Representatives David Ralston, Appalachian Judicial Circuit District Attorney B. Alison Sosebee, former celebrity chef Bob Evans, developer Doug David, and former chef and restaurant owner Kay Kendall. 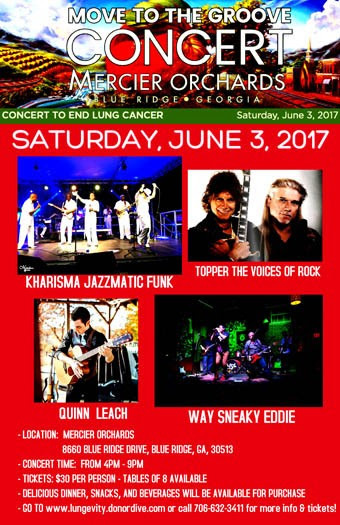 “This is really one of the bigger events put on by the business association,” Blue Ridge Business Association President Cesar Martinez spoke about the festival. Guest announcer Cindy Trimble took the stage at 3 p.m. for the moment that everyone had been waiting for, the announcement of 2018 Fire and Ice Chili Cook Off winners. Trimble explained that judges were given five categories in which they had to rate each chili. These categories were aroma, color, taste, texture, and after-taste. Each category was rated on a scale of 1-to-10 and points from all judges were then added together to determine a winner. The maximum number of points possible for a contestant to receive was 250. Chester Brunnenmeyer’s Bar and Grill took home the People’s Choice Award for a second year in a row. The recipe used by Project Chimps was “chimp friendly,” meaning that all the ingredients used were ingredients that the chimps could also eat and often do for their meals. Finally, the coveted People’s Choice award was given. Out of 934 ballots turned in by visitors to the festival, Chester Brunnenmeyer’s received 185 of those votes, giving them the people’s choice chili award for a second year in a row. 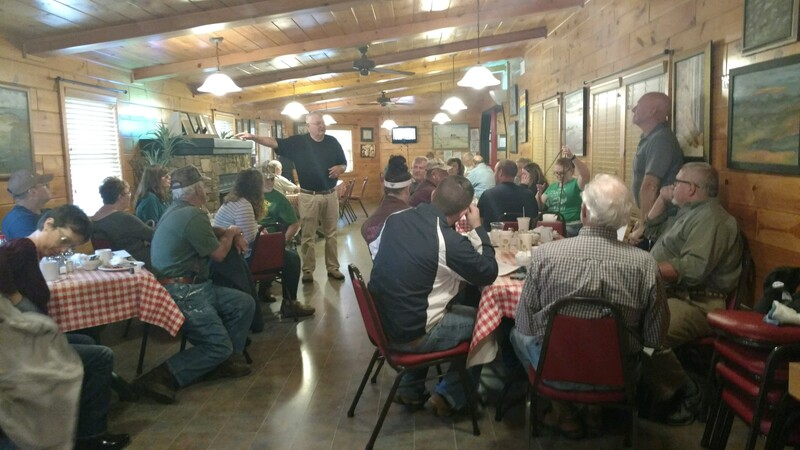 The October monthly meeting of the Fannin County Young Farmers Association was held at Mercier Orchards on Monday, October 16 at 8:00am. 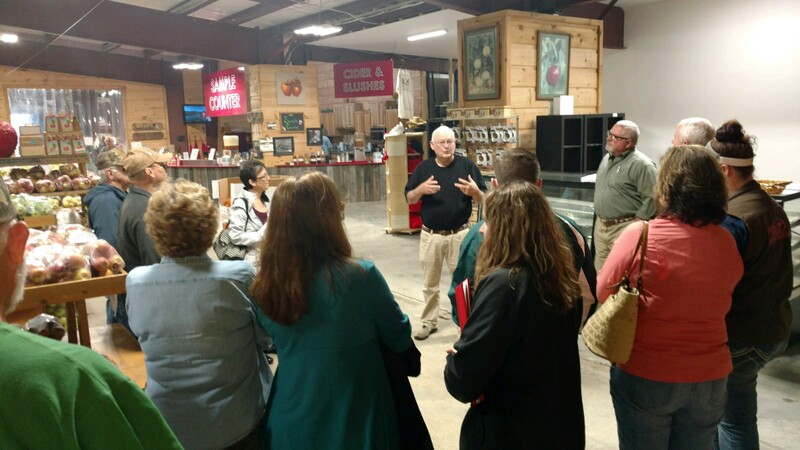 Association business was discussed and the group was treated to a talk and tour from Mr. Tim Mercier. 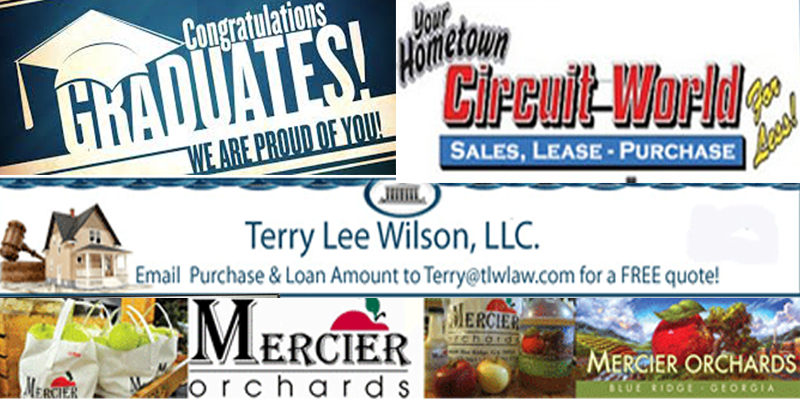 Mercier Orchards was the sponsor for the breakfast. 25 were in attendance. 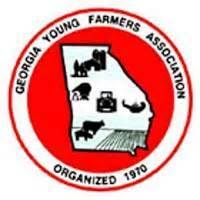 The next FCYF function will be held on November 9 at the United Community Bank Community Room in Blue Ridge at 6:00pm. A presentation will be given by Sgt. Ryan Fowler from the Georgia Motor Carrier compliance division. He will be discussing the MAP 21 legislature pertaining to those who haul logs, equipment, livestock, hay, etc. Next Article » Cheer for A Cure! 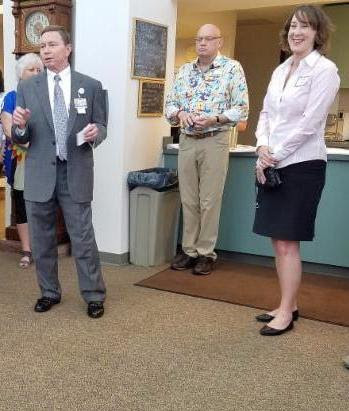 Ken Banwart, Heartwood Health, Art and Yoga; Ryan Beadnell, Harvest on Main; Connie Clark; Dawn Cochran, Fannin County Tax Assessors Office; Jeff DePaola, Mountain Place Realty; Kelly Devine, Coldwell Banker High Country Realty; John Drullinger, Fannin County Animal Control; Tony Dyer, Park Sterling Bank; Pam Fink, LG Web Consulting; Courtnie Fowler, Mountain Top Cabin Rentals; Toots Greene; Kayla Garceau, Serenberry Vineyards; Gene Holcombe, Blue Ridge Bed & Breakfast; Shannon Miller, Fannin County Board of Education; Ginger Mize; Don Mull; Brian Mundy, Mundy Heat & Air; Nancy Norton; Sandy Ott, University of North Georgia; Mel Rothchild; Cindy Stone, United Community Bank; Rita Suiter, Mercier Orchards; and Richard Turner, Masseria. Interested in helping? 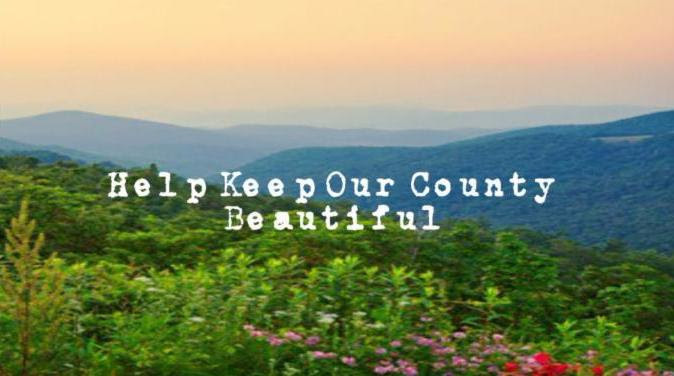 Civic-minded organizations, businesses and individuals can adopt a stretch of county road in the community where they are living or elsewhere in the county. For more information on the Adopt-A-Road program, CLICK HERE. 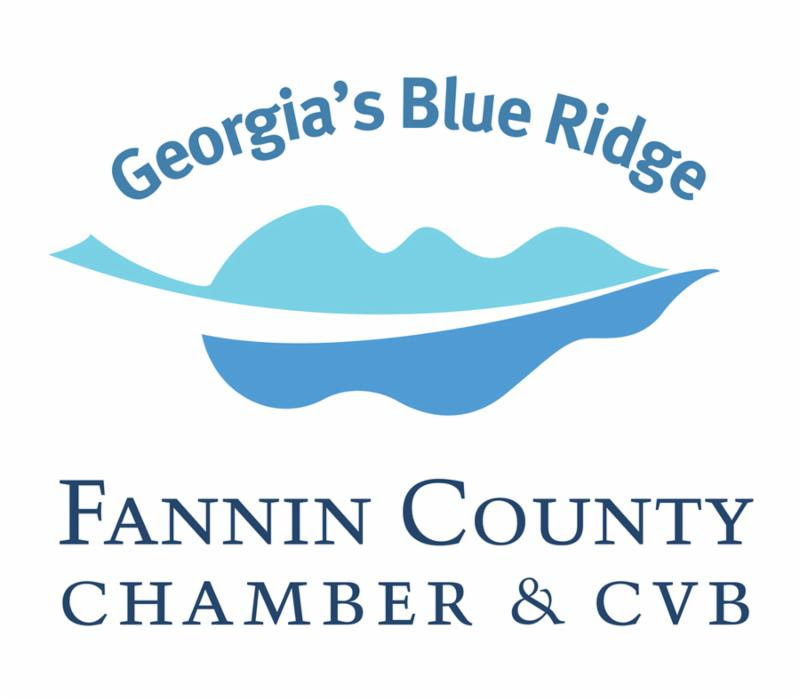 Also, beginning June 1st, the Fannin County Land Development Office will issue citations to garbage haulers who do not have garbage properly tarped or covered. This measure along with the Fannin County Adopt-A-Road program is a great way to help keep our roads clean! 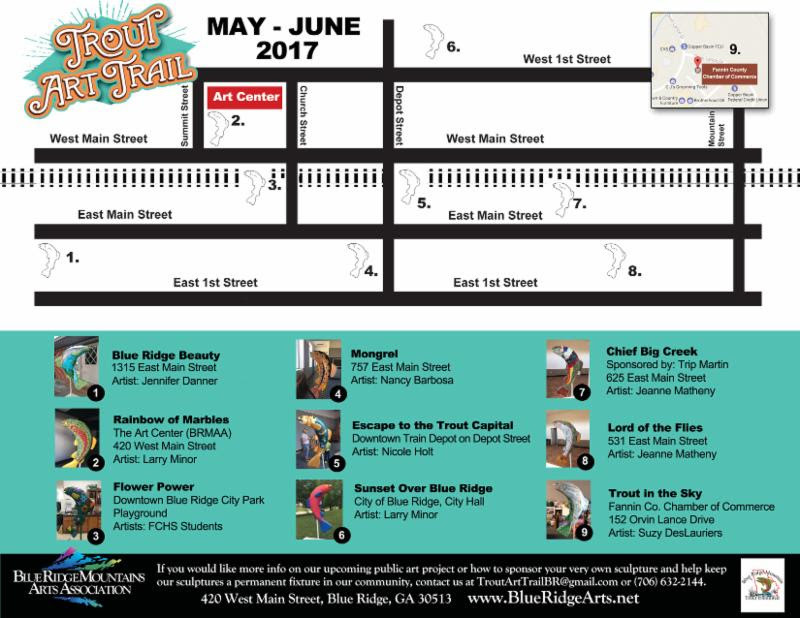 Check Out the Trout Art Trail! Blue Ridge has 9 beautiful trout sculptures produced by local artists for the Blue Ridge Mountains Arts Association — and they are on view in downtown and at the Chamber Welcome Center on Orvin Lance Drive. Open and print the map above to discover all nine! Awning Builders of Atlanta is proud to provide guaranteed and quality products backed by a 10 year warranty. All Awning Builders Awnings feature Sunbrella fabric – the leader in exterior fabrics for both beauty and longevity. Choose from hundreds of colors and designs to perfectly match your vision for your outdoor living space. With a fabrication facility and full engineering and design department, they are able to fill residential or commercial custom orders. Lularoe is extremely comfortable, unique, quality clothing that comes in a wide variety of styles, designs and sizes for women, men and children. 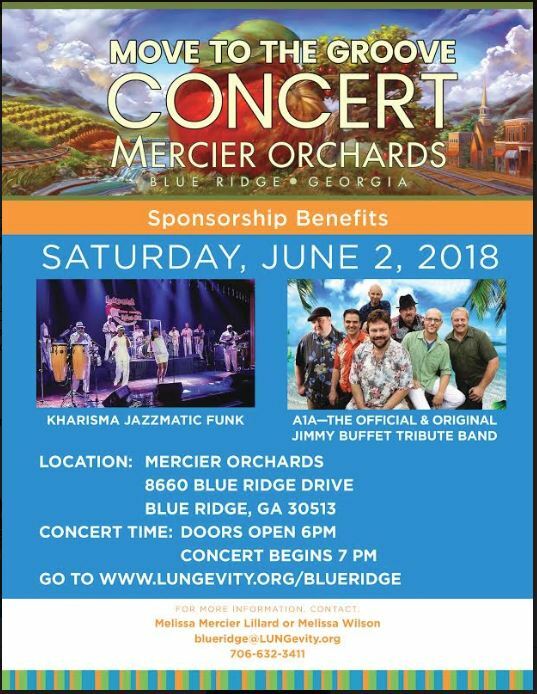 * Live Music: Blue Ridge Brewery, Fannin Brewing Co., Blue Jeans Pizza, Christy Lee’s Courtyard Grill, Copperhead Lodge, The Last Stop, Treo Blue Ridge, Paradise Hills Resort, Riverview Beanery and Cartecay Vineyards. * Wine Tasting Events: Serenberry Vineyards, Cartecay Vineyards, Mercier Orchards , The Vine of Blue Ridge, Paradise Hills Resort and Cherokee Cellars. June 14 – Board of Directors Meeting, Fannin County Chamber of Commerce Meeting Room, Executive Committee Meeting at 11:00 a.m., Board Meeting at 12:00 p.m.
On Tuesday, April 11th our kindergarten students travelled to the Chattanooga Aquarium. The students had a great time learning about all the different animals. 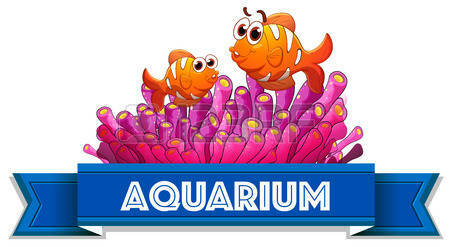 They particularly loved the marine aquarium and the butterfly garden. Thank you to our many t-shirt sponsors that enable us to have matching t-shirts for our field trips and field day. 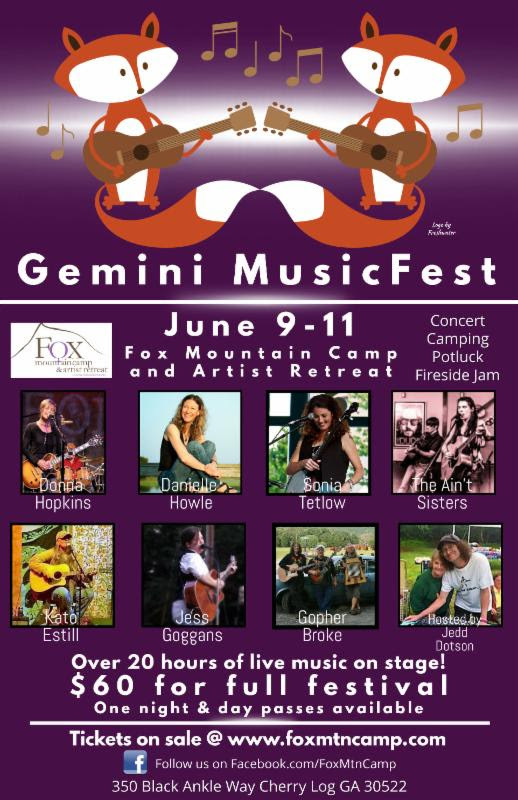 Our 2017 sponsors are: Copper Basin FCU, Copper Basin Vet Clinic, Dillion Miller, MD Family Practice, El Rio Mexican Restaurant, Habanero’s Tex Mex, Jabaley Eye Care, Mercier Orchards, Preferred Medical Products, Shoreline Solutions LLC, The Lilly Pad Village, West Fannin PTO. Chattanooga Aquarium Copper Basin FCU Copper Basin Vet Clinic Dillion Miller El Rio Mexican Restaurant Habanero’s Tex Mex Jabaley Eye Care Kindergarten field trip MD Family Practice mercier orchards Preferred Medical Products Shoreline Solutions LLC The Lilly Pad Village West Fannin PTO. Congratulations to Fannin High School Graduates 2016! 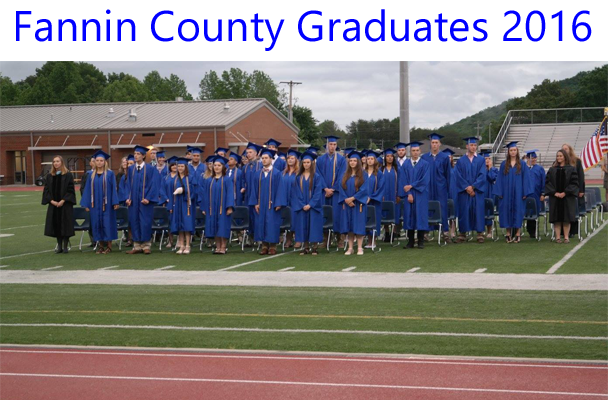 Fannin County officially wrapped up the school year by holding the 2016 Graduation on the Football Field Friday May 20th 2016. 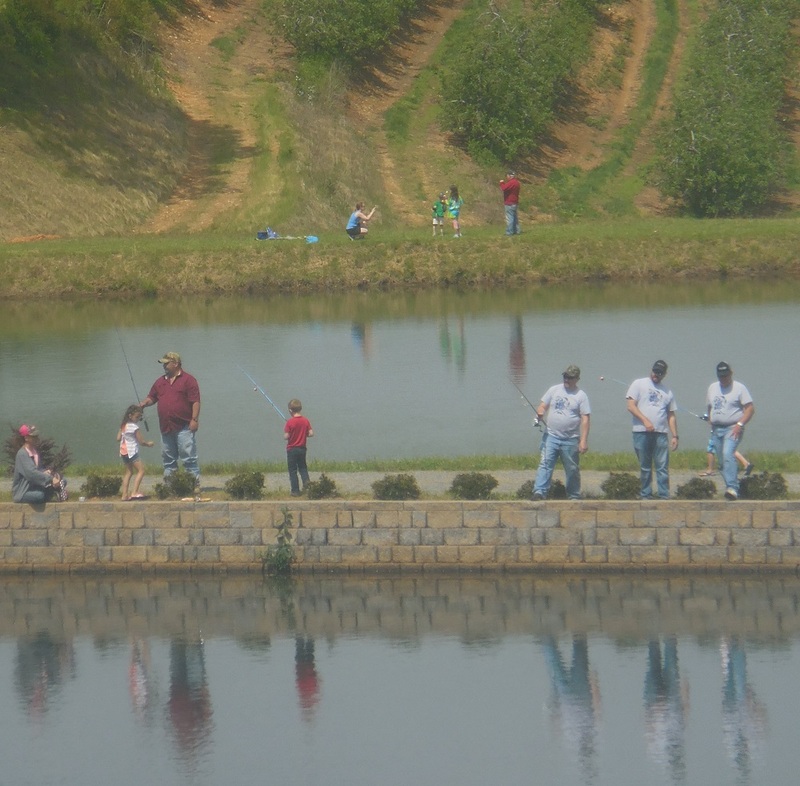 Glorious spring weather made fishing comfortable for the young kids at Mercier Orchards at the spring U-Fish on Saturday, May 7th. 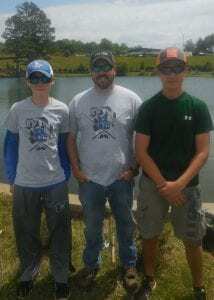 The Fannin Fishing Club was there to make it successful for the kids by helping them bait hooks, cast and unhook fish. 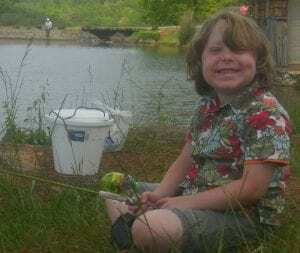 Fannin County Fishing Club is in its first year. The club is for students from 7th to 12th grades. 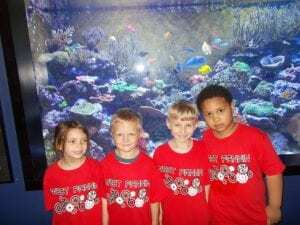 The club is sponsored through Fannin County schools, but receives monetary support from various local and commercial sponsors. 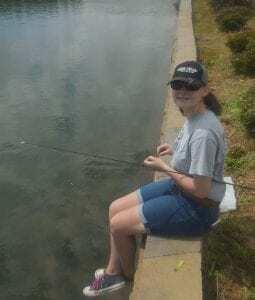 Club members compete against other schools and organizations in fishing tournaments as local as Lake Nottely and as far as Lake Chickamagua. Some of the competitions have as many as 644 people (322 boats) out in two-man teams. 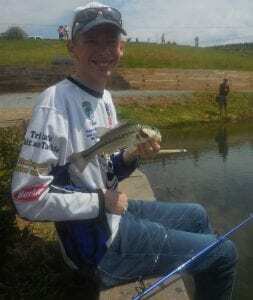 Wesley Chastain is Fannin County Fishing Club’s coach. He works in the maintenance department for the Fannin County School System. Mr. Chastain volunteered to start the club because he wanted to give students a chance to get “hooked into” fishing and receive guidance while they are at it. Also, he is thinking about the students’ education after high school. Mr. Chastain states that many colleges now have competitive fishing teams and the schools offer athletic scholarships for team members. 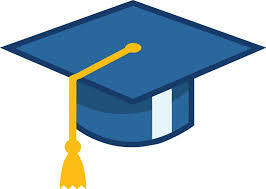 In fact, Mr. Chastain has already arranged scholarships for club members. 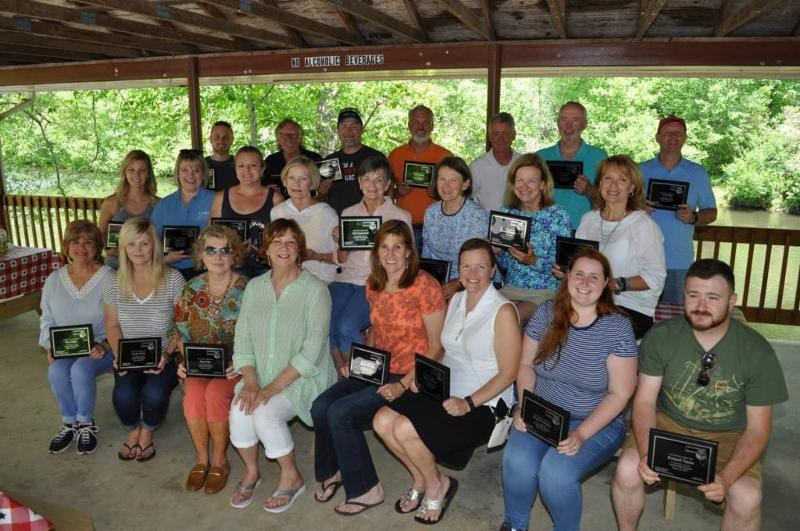 The Lake Blue Ridge Civic Association is giving $2,000 scholarships to team members to use for university, college or technical school training. Mr. Chastain invites local fishing enthusiasts to see pictures of the Fishing Clubs’ competitions on the Fannin Fishing Clubs’ Instagram page. 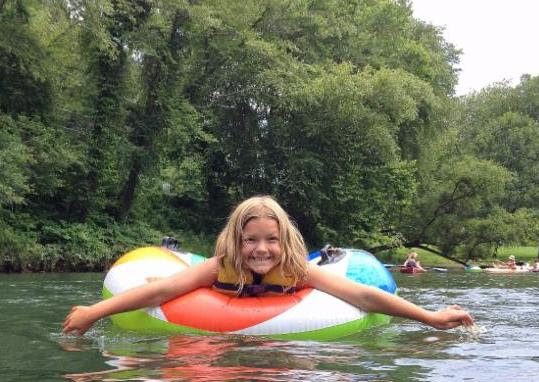 Emma, a middle school Fishing Club member, says the fishing club is pretty fun and it is something I can do.